The UC Santa Barbara Gauchos are going to Omaha with an improbable win. 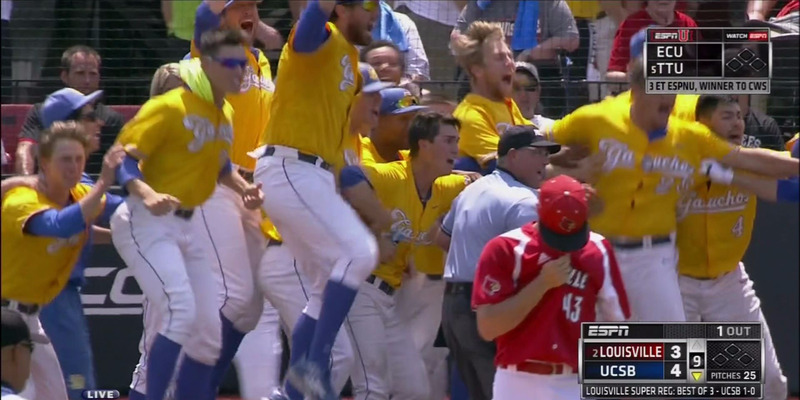 With Santa Barbara up 1-0 in the best-of-3 super-regional series, they were trailing the fifth-ranked Louisville Cardinals 3-0 in the bottom of the ninth. The No. 21 Gauchos loaded the bases with one out and Sam Cohen then unloaded the bases with a 2-strike walk-off Grand Slam. As much joy as there was for the Gauchos, there was just as much pain for the Louisville players. 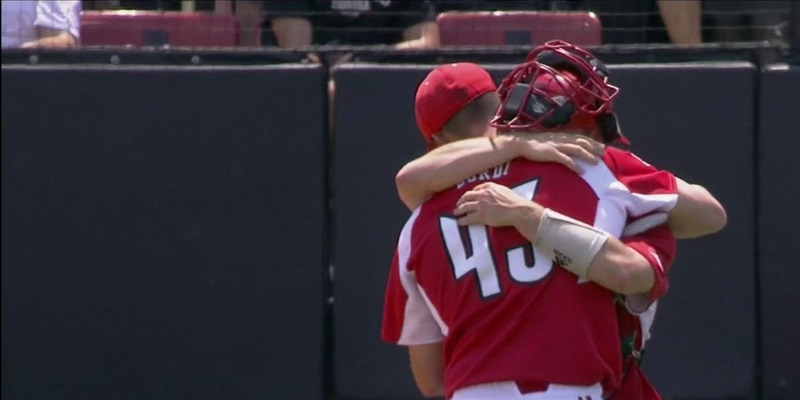 Zack Burdi, who gave up the home run, received a big hug from his catcher.